How to Launch Multiple Skype Sessions ? Skype don’t need any introduction, any how; It is a Software application that allows you to make voice and video calls and chats over the Internet.Skype also popular for its additional features including instant messaging, file transfer, and video conferencing. Today we found an interesting application named SkypeLauncher. Skype Launcher is a free tool and you can use it for automatically signing-in multiple Skype accounts with just one click. 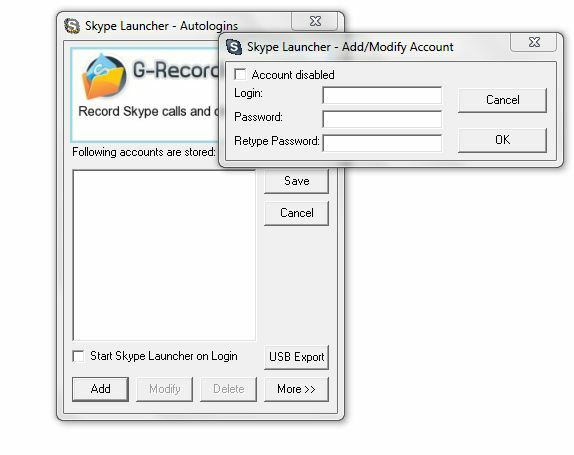 Skype launcher software algorithm automatically detects already signed-in Skype accounts and it will only login offline accounts. 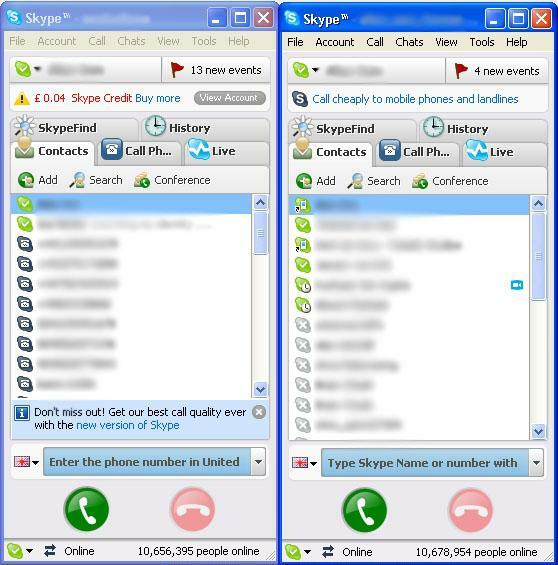 Skype Launcher version 1.6.3 is around 1.08 MB in size and it will support Windows XP, Windows Vista or Windows 7 and Skype version 3.X, Skype 4.X and Skype 5.Install the application and go to SkypeLauncher configuration to add your Skype Accounts that you want to auto login when Skype starts. Download Skype Launcher From here and Enjoy the multiple Skype sessions and share your experience with us.